Eclectic round knob in brilliant ceramic. The flower motif on the knob face makes this product an outstanding choice for your home dicor. Eclectic round ceramic knob with central screw detail on knob face. This product will provide a discreet complement to your kitchen or bathroom cabinetry. Add subdued elegance to any kitchen or bathroom with this classic ceramic knob. Eclectic flower-shaped plastic knob by Richelieu. This product exudes playfulness and is a great choice for a child's room. Classic round ceramic knob with central screw detail on knob face. This product will provide a discreet complement to your kitchen or bathroom cabinetry. 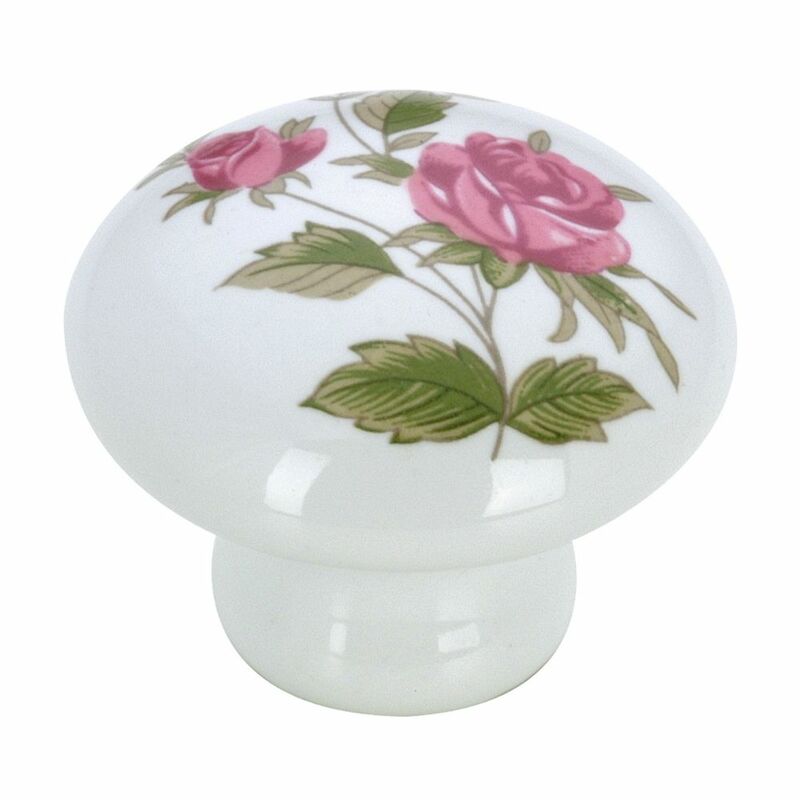 Eclectic Ceramic Knob 1 3/8 in (35 mm) Dia - Pink Flowers - Bourges Collection Eclectic round knob in brilliant ceramic. The flower motif on the knob face makes this product an outstanding choice for your home dicor.